Three pretty violets received today from Glenna. 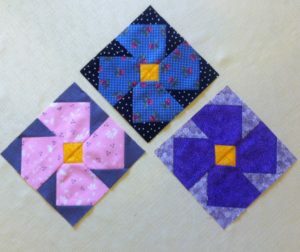 These are very pretty blocks, thank you, Glenna! The blue one with roses and the polka dot background is striking! Thanks, Happy that you liked them. Happy Quilting.